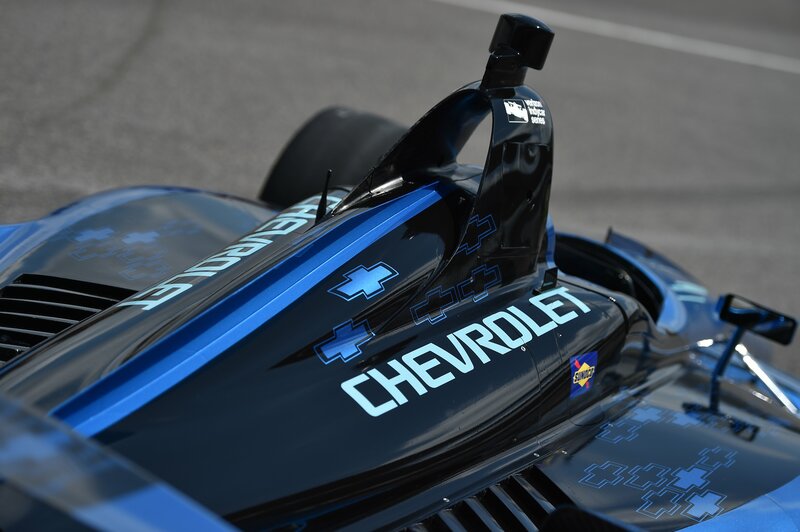 Debuting today in preparation for the 2018 season, cars again powered by Chevrolet and Honda engines will represent a collaboration of several key constituents – INDYCAR, Dallara and design experts in the United Kingdom – paired with input from drivers, teams and fans alike. The entire process fell under the watchful eyes of Jay Frye, INDYCAR’s president of competition and operations; Bill Pappas, INDYCAR’s vice president of competition/race engineering; Tino Belli, INDYCAR’s director of aerodynamic development; and Dallara, supplier of the IR-12 chassis that has been used by all Verizon IndyCar Series competitors since 2012 and supplier of the stylish and functional universal aerodynamic bodywork kit that will cover each chassis beginning next season. The new car for 2018 will come in two specifications: one for superspeedway ovals and the other for use on short ovals, permanent road courses and temporary street circuits. The group overseeing the process likes what it sees with both looks. You want a leaner and more aggressive-looking car? You’re getting that. 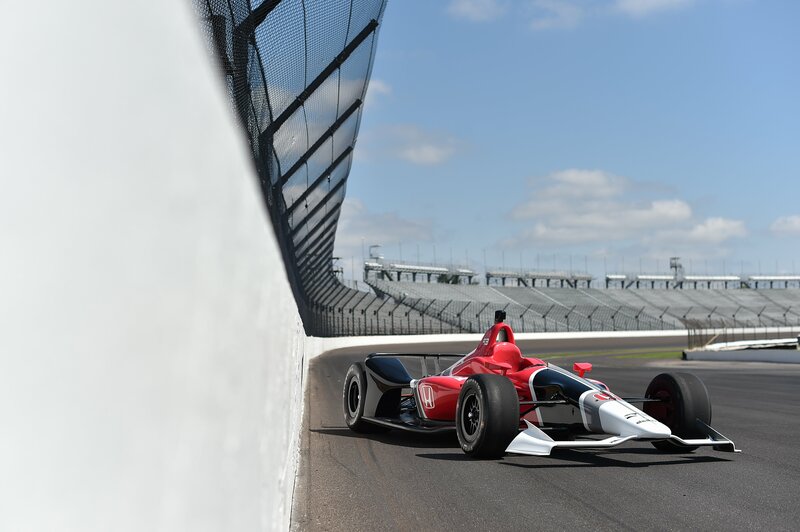 Interested in how INDYCAR is pursuing the next innovation in driver safety? Engineers have improved aero and body construction to ensure this daring new car better protects the stars of the series. Want the action to be even more thrilling? With streamlined aerodynamics, expect more dicing for position. With the weight of the car shifted slightly forward, balance should be improved and the car will be more nimble. 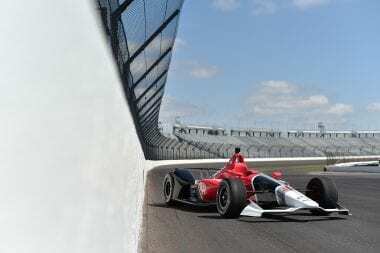 We’ll see if your heart can again take five-wide approaching Turn 3 at Indy. The process for the new design started in April 2016 with invitations to potential manufacturers. Soon after, Frye’s “reverse engineering” mantra came into play. 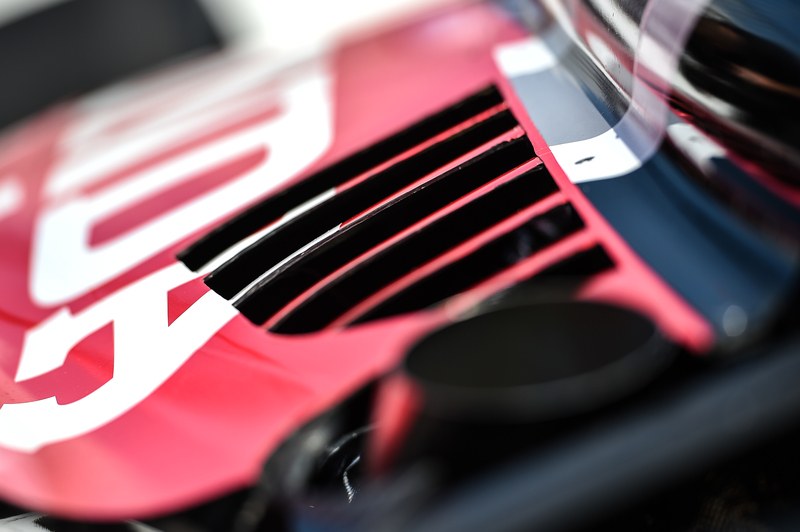 Make the car sweet to the eye, then tasty to the track. Design it and they will come. 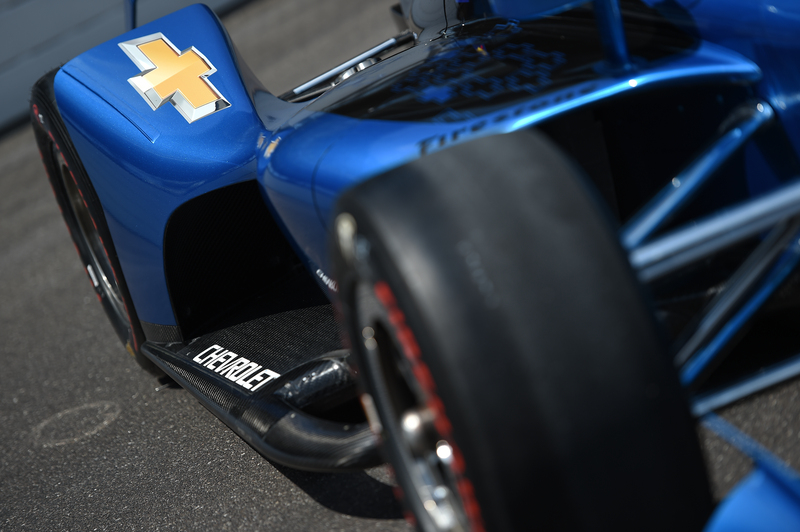 Today, we get a look at INDYCAR’s NEXT – a car with form and function. 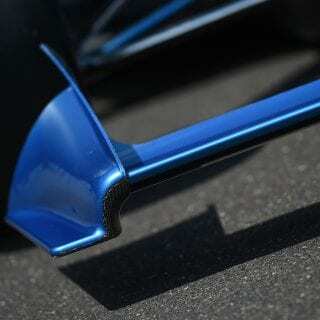 This project of outfitting the current Dallara IR-12 chassis with a new aerodynamic kit began more than a year ago. 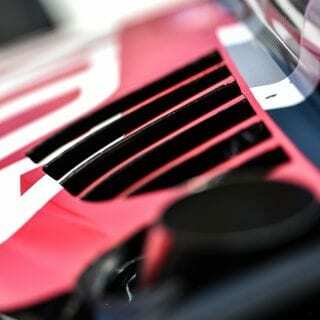 Design support came from Dallara and Chris Beatty, a UK-based concept design and 3D animation consultant. Throughout the process, competitors contributed to the design progress. The public reveal of the concept began with drawings shown at the North American International Auto Show in Detroit in January. Indianapolis 500 champion Alexander Rossi was one of the drivers in attendance. “It looks like a real race car,” he said. More images were shown in March, another batch in May. The car came into focus and anticipation grew. 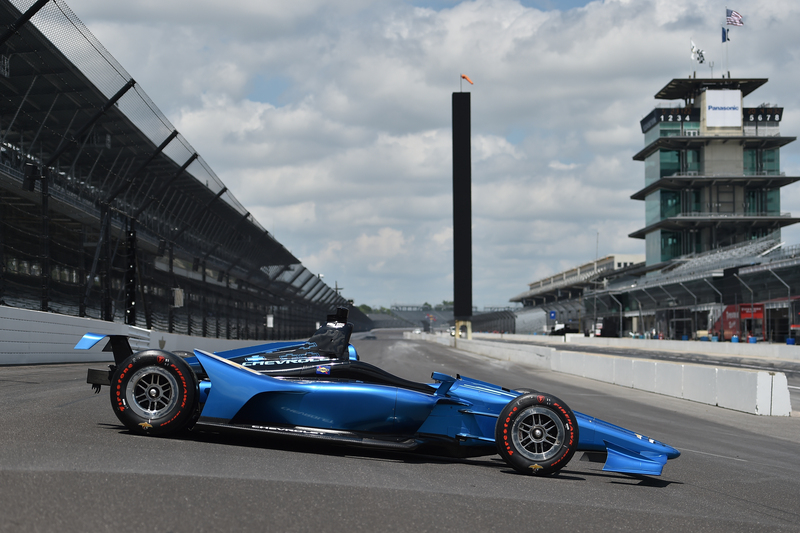 Dallara, which has supplied the IR-12 chassis to all Verizon IndyCar Series teams since 2012, was named in June to supply the universal kit as well, providing for a seamless merger of the two. Today, INDYCAR reveals the superspeedway version of the real thing with the accompanying photos and video. 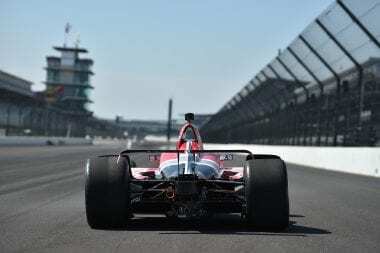 The new car’s work begins in earnest on Tuesday with on-track testing at the iconic Indianapolis Motor Speedway 2.5-mile oval. 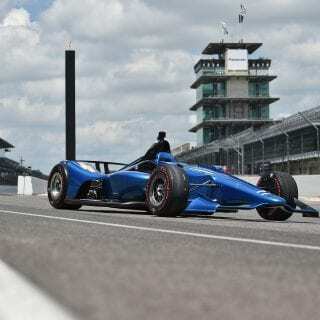 Fans of the sport liked the look of the low-line turbocharged Indy cars of the early 1990s, and that sentiment inspired the design of this car. 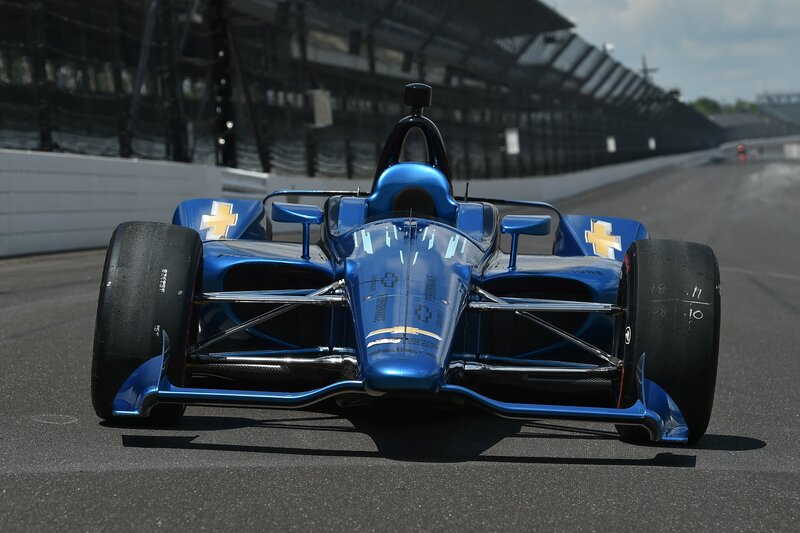 The goal was to give the car a sleek look reminiscent of those popular cars while offering an attractive edge to a new generation of drivers and fans. 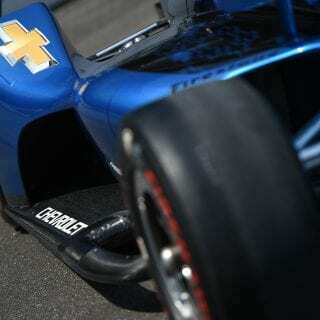 A lower engine cover and lower short oval/road course rear wing endplates provide a long, lean look. Gone are the rear wheel guards, which made the car appear bulky. The wings are lower, smaller and more aesthetically pleasing. The LED display system on each car – which currently shows position in the running order, the time of a pit stop and when push-to-pass is engaged – is more sophisticated, expanding opportunities for providing fans with content. 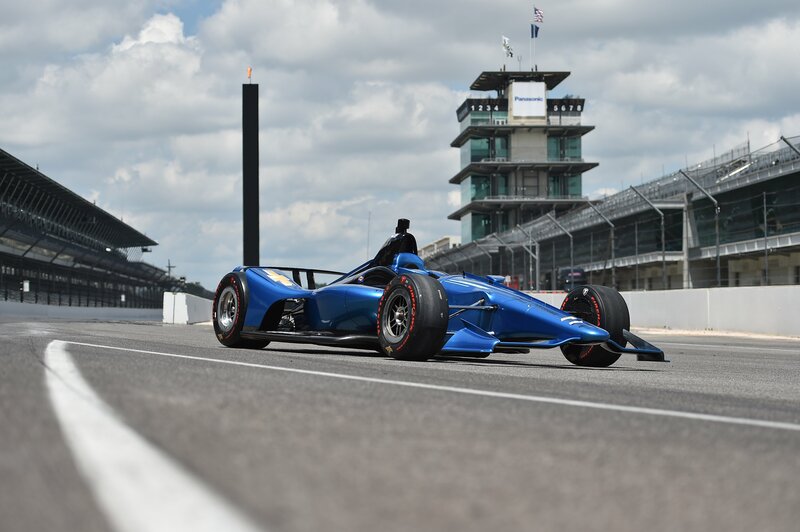 INDYCAR and Dallara have six years of collective research and study with the IR-12 chassis to help understand the limits of control. This information is included in the design of the new car. 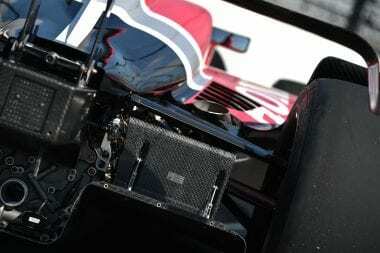 Side impact protection has been significantly improved in a variety of ways, including the sidepod leading edge and induct duct joined with two bulkheads to create a proper crushable structure ahead of the radiator. The unitary construction is designed to absorb loads from all directions, and the structure is 8 to 10 inches wider at the driver’s hips. 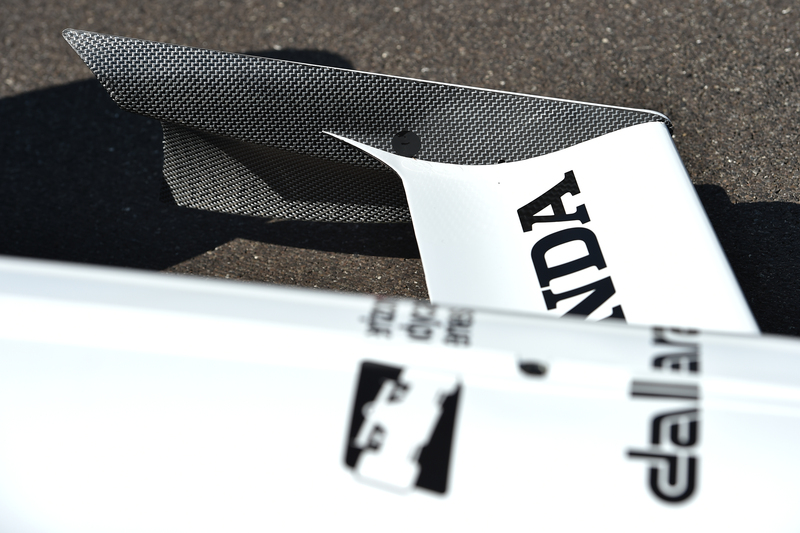 The top of the sidepod has been designed to exceed FIA side impact tests. 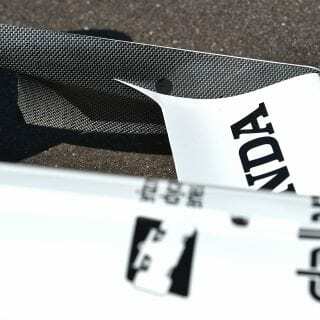 The inlet duct, sidepod side and bottom have been constructed in hybrid carbon/dyneema fibers for improved penetration protection. Oil and water radiators have been moved forward, adding cushioning on the driver’s side. A wider leading edge mitigates the chance of another car’s wheel climbing on top of the underwing. 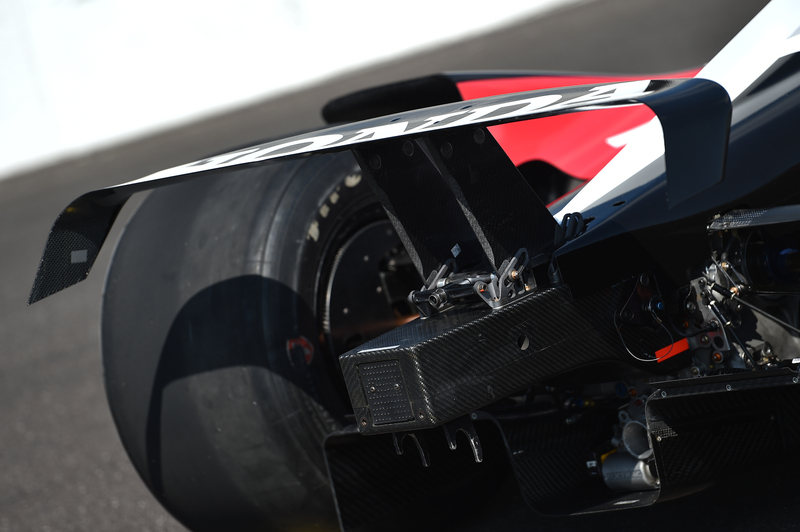 The front wings are noticeably smaller with fewer pieces, reducing the amount of potential debris in incidents. Fewer pieces also means less to maintain. Some elements added to fix previous instability issues (domed skids on the car’s undertray and a large tail fin) are no longer necessary. The stability and downforce provided by the domed skids on the 2017 car have been replaced by lateral domes attached to the underwings of the 2018 car. 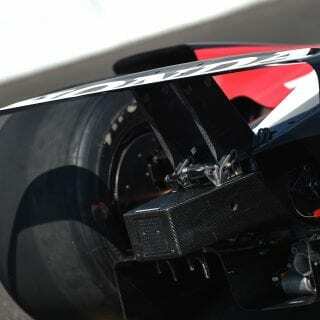 The rear wheel guards have been removed – therefore, the winglets have been removed. Fences in the rear of the underbody have been added to the road course/short oval package. The design has allowed for a cockpit windscreen application, when developed. Drivers have been asking for the car to generate more downforce from underneath the car instead of on top using the wings. 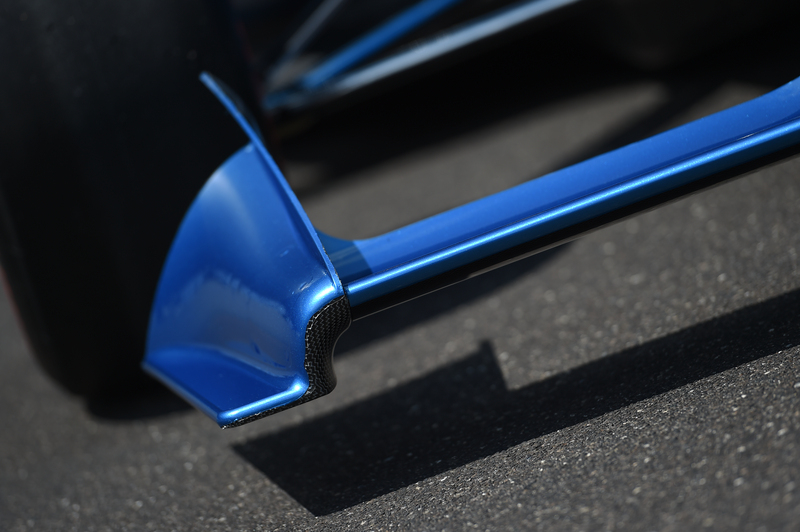 Now, 66 percent of the generated downforce will be at the bottom of the car in road course/short oval configuration, an increase of 19 percent. 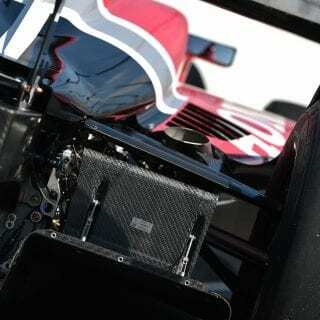 Drivers have long been asking for the car’s weight to be moved forward for improved handling. This design has accomplished that. 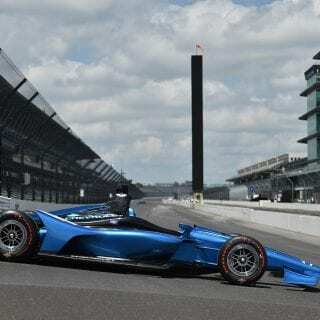 Veteran drivers Juan Pablo Montoya and Oriol Servia have been tabbed to drive the two cars – one for each engine manufacturer – throughout the testing regimen operated by INDYCAR. 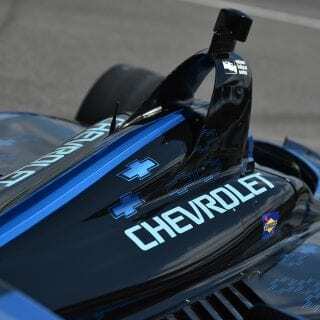 Team Penske is providing the Chevrolet-powered car for Montoya; Schmidt Peterson Motorsports the Honda-powered chassis for Servia. 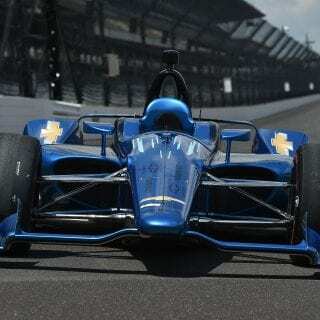 Tuesday and Wednesday (if necessary): Indianapolis Motor Speedway (superspeedway). Aug. 1: Mid-Ohio Sports Car Course (road course). Aug. 10: Iowa Speedway (short oval). Sept. 26: Sebring International Raceway (street-course simulation; brakes and cooling test). The first kits will be delivered to Verizon IndyCar Series teams in November.